During those last few weeks of pregnancy, parents want nothing more than to finally hold their new baby in their arms. Once the baby is born, nothing feels better than those newborn snuggles. But newborns are born with a strong need to be held and it can get very tiring for mom and dad to have baby in arms for most of the day. That is why many parents choose to "wear" their babies. There are many different types of carriers for that purpose: slings, wraps, soft structured carriers, etc. No matter, what carrier you choose, wearing your baby will not only be an experience you'll cherish for years to come, but it will also benefit you and your baby greatly. Learn more. Babies who are worn and have all of their needs met spend more time in a state of calm, quiet alertness which is the ideal state for learning. In addition, worn babies go throughout an entire day with caregivers and learns from that caregiver's activities and interactions with others. Are happier. Babies who are worn cry less and are less likely to suffer from colic. A study in the journal, Pediatrics, found that wearing babies for 3 hours a day reduced crying by 43% overall and 54% during evening hours when most babies tend to be at their fussiest. Are more organized. When you wear your baby, your warmth, heart beat, breathing, and movement help regulate baby's emotional, intellectual and physiological systems and organize his or her behavior. Have stronger bonds with their parents. Babies who are worn experience more skin-to-skin contact with mom and dad, are close enough to listen to the calming rhythms of parents' heartbeat and breathing, and have all of their needs quickly met. This enables baby to enables to develop trust toward the parent as well as a healthy attachment. Talk better. Babies who are worn spend more time at voice and eye level and are in the middle of any conversations their parent or caregiver engages in. By listening to the sounds their parents make, babies learn words and sounds earlier. Babies also learn communication skills such as turn taking and making eye contact. Have all of their needs met faster. 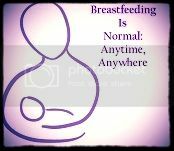 When you wear your baby, you are continually available to meet his or her needs. When baby is hungry, you can quickly offer the breast. When he or she needs changing, you can quickly do that as well. When you are there to meet your baby's needs, he or she is content and ready to learn from the world around them. Sleep better. In the comfort of a baby carrier, close to mom's body, babies tend to sleep more than when put in the crib for naps. Grow better. Premature babies and babies with illnesses grow better and gain more weight when held close to their parent's bodies for most of the day. Are less likely to be abused. Wearing baby promotes strong attachment and helps parents become more intuitive and responsive making it less likely for baby to be neglected or abused. Get more accomplished. Babywearing frees parents' hands for cleaning, cooking, working, etc. making life easier for busy parents. Breastfeed easier. When wearing baby, he or she is always in close contact with mom making it easier to breastfeed. Many carriers also make it easier to nurse baby discreetly in public. Are more confident. When baby's needs are consistently met, baby is happier which makes parents feel better about themselves and helps them develop trust in their parenting abilities and instincts. Have stronger bonds with their babies. When you wear your baby, you spend more time in skin-to-skin contact with him or her and, therefore, develop a stronger attachment with baby. Are more responsive. Parents who wear their babies spend most of their time in close contact with baby which makes it easier to respond to babies needs faster. Learn to read their babies better. When parents spend a lot of time in close contact with baby through baby wearing, they learn to read babies cues better, which in turn helps babies cry less. When mom is always around, she can pick up on babies early hunger or sleep cues and fulfill babies needs before baby is upset enough to cry. This develops better communication and bonding between babies and parents. Get more exercise. While wearing babies, parents get more exercise. A walk with baby in a carrier can be a great form of exercise while also helping baby to calm down and fall asleep. Are less likely to suffer from postpartum depression. Developing a stronger bond with baby as well as feeling more confident helps reduce moms' risk of postpartum depression. Wearing baby also helps moms produce more oxytocin which has a calming and mood lifting effect on mothers. If baby wearing mothers do become depressed, wearing baby offers a way to still meet babies needs with minimal effort. Have more fun. With baby in a carrier, parents can go anywhere while still effortlessly caring for baby. 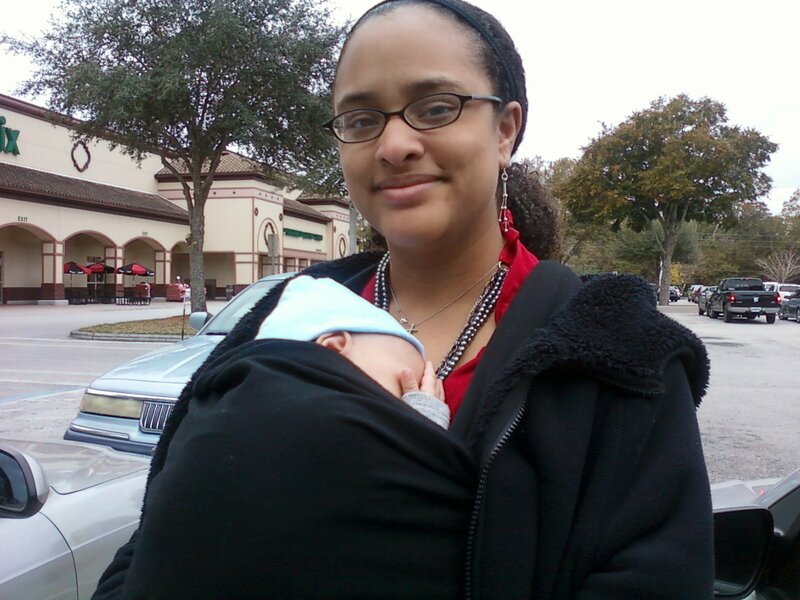 Babywearing parents can also go places where it might be difficult to push a stroller. Just as marsupials carry their babies in their pouches, nurturing them and meeting their every need, babywearing parents help their babies achieve optimal development during the "fourth trimester", the period of time during which baby is getting adjusted to life outside the womb. While wearing their babies, parents keep them close and are able to meet all of babies' needs, helping them develop the strong sense of trust and security needed to thrive. I started wearing Daniel in a Moby Wrap when he was about a month old and I can say from experience that it is awesome. I am able to get things done around the house while keeping my baby close and meeting all of his needs and our relationship has grown a lot stronger because of it. We are both happy since our needs are being met and we have great communication with each other. There is no greater feeling than that of seeing your baby thrive and knowing it is because you are doing everything in your power to enhance their growth and development. I wouldn't trade that feeling for anything in this world! Me wearing Daniel in the Moby Wrap at 6 weeks old.